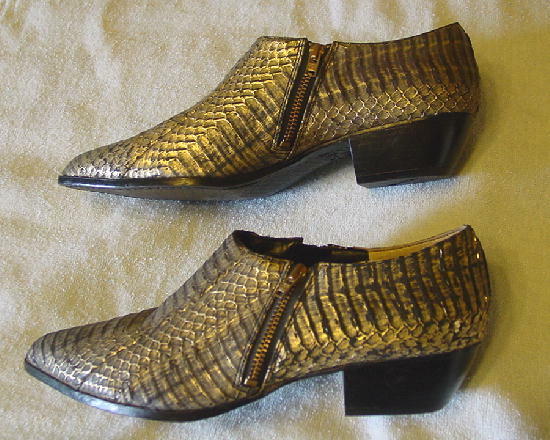 These genuine reptile upper booties/shoes have a balance that is manmade. 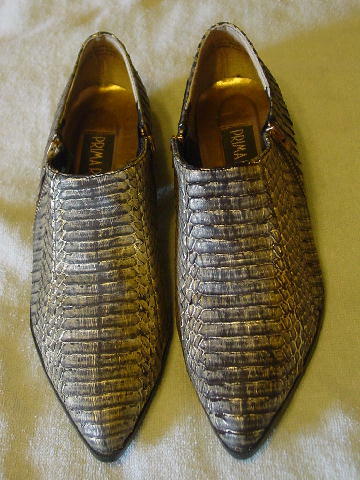 They have black linings and gold lame insoles. 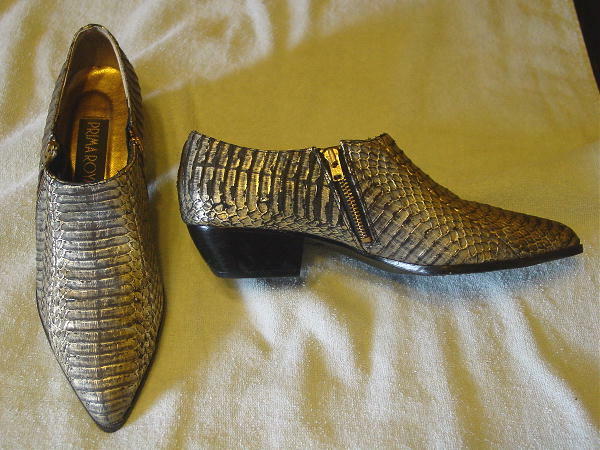 There are faux stacked heels which have some slight marks, and black rubberized soles. 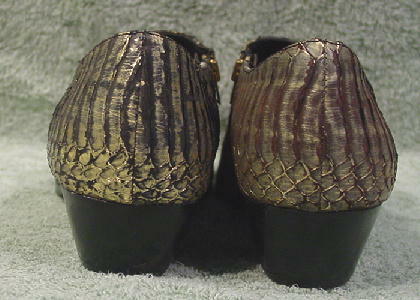 The reptile skin is in black and dark reddish brown and gold lame. Both sides have 2 1/2" angled zippers, and they have pointed toes. 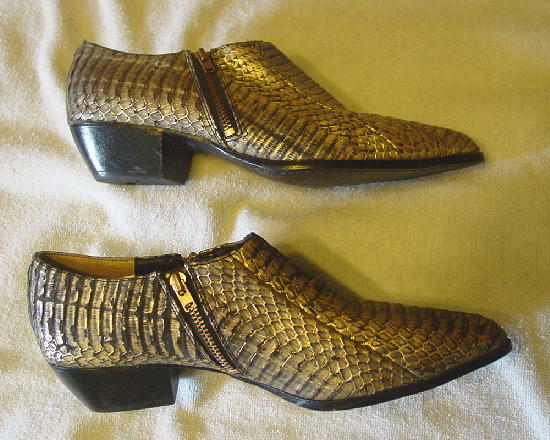 They're from a New York actress, who sold them because she needed the money.